An NCP operated car park is conveniently located under the Royal Garden Hotel for hotel guests and visitors. You can pre-book your parking space and recieve discount on parking. Please note that you can receive significant savings when booking your parking in advance, but you may also pay more than the Roll up Rate for shorter lead time bookings. 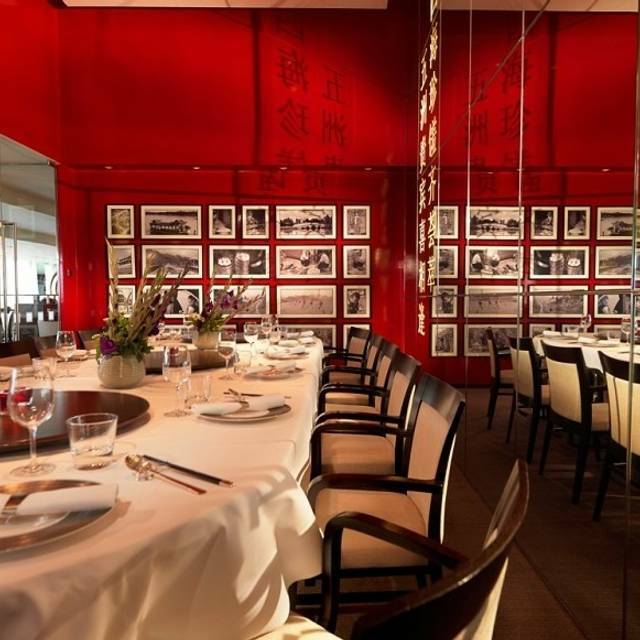 Chong Qing dining room offers a beautiful private space just off the main restaurant, perfect for a special occasion! Seating up to 20 people Chong Qing enables groups to sit privately yet with a view of the main restaurant. This exquisite space is available to be booked for both lunch and dinner. 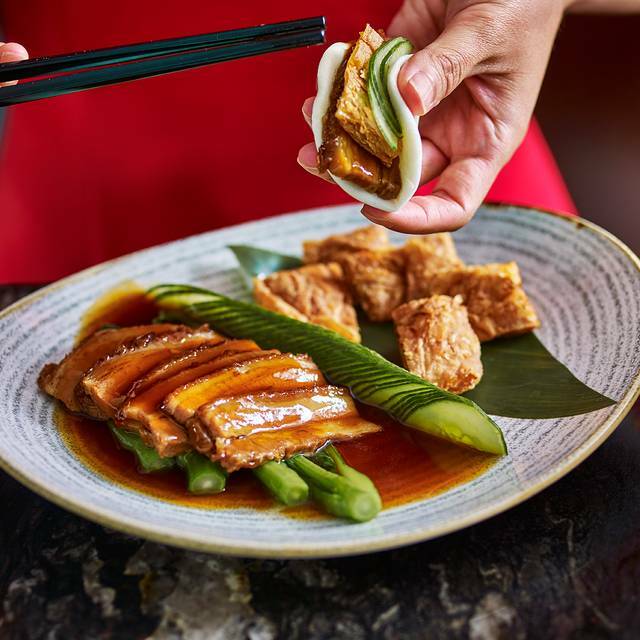 Situated in the heart of fashionable Kensington and in a lofty position on the tenth floor of the Royal Garden Hotel, Min Jiang boasts breathtaking views of Kensington Gardens, Hyde Park and London"s skyline. The restaurant design combines striking blue and white Chinese vases against deep contemporary red walls, creating an unforgettable dining experience. 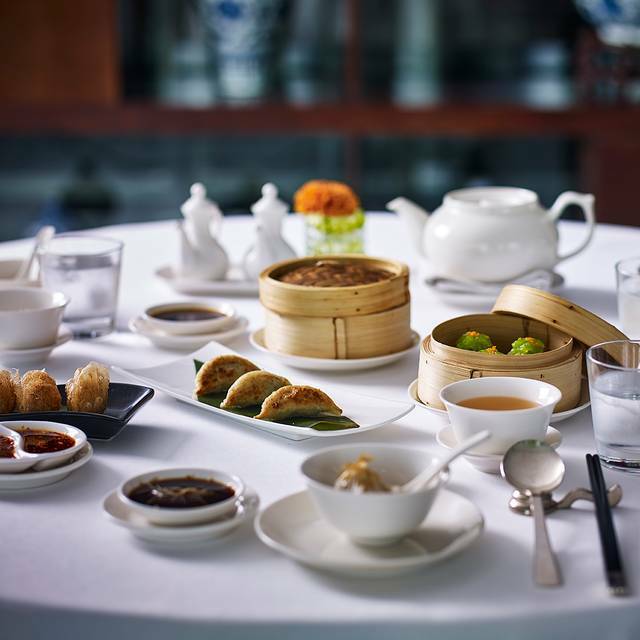 Min Jiang is open for lunch and dinner 7 days a week and undoubtedly the highlight of any visit to Min Jiang is the wood fired Beijing Duck and the exquisite Dim Sum! Beautiful view, nice food, good service and friendly stuff! Thank you. The duck was good. Dim sum not so. When I booked the table I did not see unfortunately you have to preorder the duck. This was a little bit disappointing but otherwise everything was tasty, the service was professional. Min Jiang never disappoints. I reserve this place for lunches with girlfriends, lunch or dinner with family members. 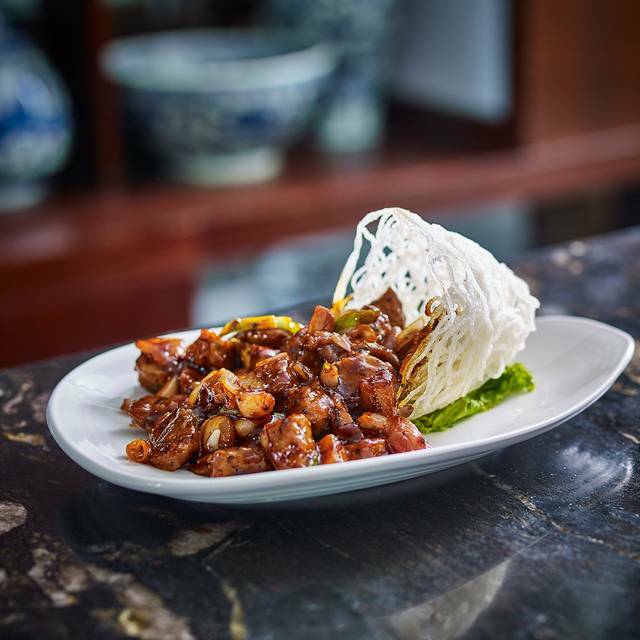 Authentic chinese cuisine, excellently executed and good value. Ambience is to die for looking out to Kensington Palace and the park. Very relaxed atmosphere, done of this highfalutin policy that you must vacate the table in 2 hours. Staff are helpful and friendly. Service is excellent. Excellent food as usual. Service was very good and the ambience is great. It is our favourite Chinese restaurant in London. The only reason I do not give it 5 stars is that the quantities of food seem to be getting less. The duck at Min Jiang is the best in London (imo). The experience at Min Jiang was exceptional, service from staff beyond excellent. Food and ambience outstanding. I can’t find a single thing which was disappointing. Thank you for an amazing day. Deeply disappointing after the generally good reviews. Absolutely miserable service (literally not a single smile despite much encouragement). Missed one of the main dishes entirely “pressed wrong button”. Distinctly average food (Dim Sum actually quite poor, totally flavourless cheung fun). Absolutely do not recommend; far better places with far better value elsewhere in London. Worth to order their signature Duck. We ordered half duck for 2. It was very tasty and good potion to order some other stuff. Lovely view from 10th floor at the hotel. 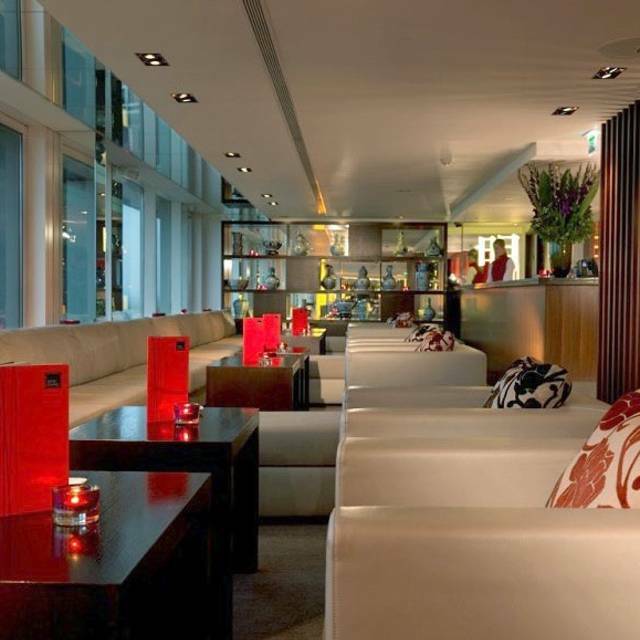 The food is exceptionally good as well as the views from the restaurant - you can see London’s skyline. The staff is very attentive and friendly. Will be back! Nuestra visita al Min Jiang fue maravillosa, el pato es el mejor que he comido!! La vista a Londres es increíble, sin duda volveré..
Min Jiang has a lovely setting, it is a beautiful restaurant with some great views. When arriving at this booking I tried to discreetly tell the front of of staff that I had brought a cake as we were celebrating a birthday (this is something I had already told the restaurant). The front of staff then went on to loudly tell all of us that there’s a £5 per person additional charge for external foods being brought in. It was just completely awkward, the birthday girl was standing right there we were all awkwardly shuffling and the man just proceeded to go on and on about this fee and no cakes allowed (prior to this the birthday girl didn’t even realise we had brought a cake). It went on so long that I had to abruptly interrupt the gentleman to say we will talk about this later and could we just be seated. The menu is great and the food was mostly delicious. But the atmosphere and staff are overly serious, formal and make you feel uncomfortable. Even when they did eventually bring the cake out they whispered happy birthday. It felt like I was eating dinner in a library. 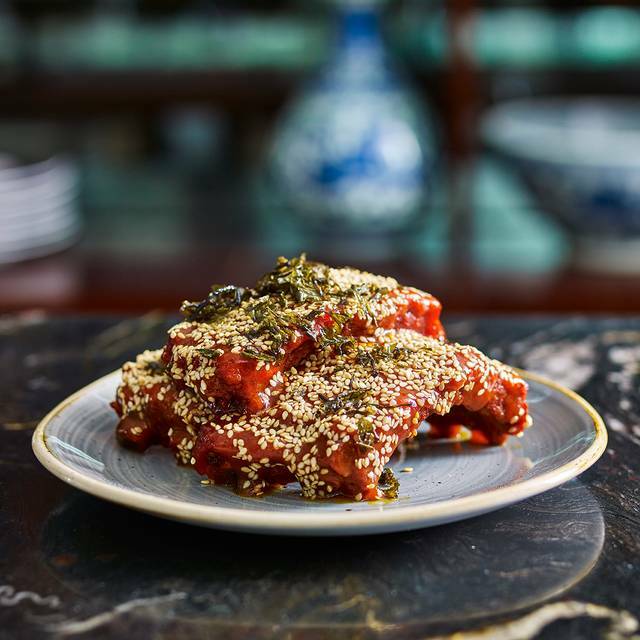 Even though the food was good, it was nothing extraordinary and for the price there are much better Chinese restaurants in London with a much more comfortable and welcoming atmosphere. I have eaten in a number of famous, delicious and truly amazing restaurants in London and I don’t appreciate being made to feel like I don’t belong or feeling awkward when I am having a dinner that I am more than prepared to pay for. The view from the table was spectacular. The food beautifully presented and the staff very attentive. 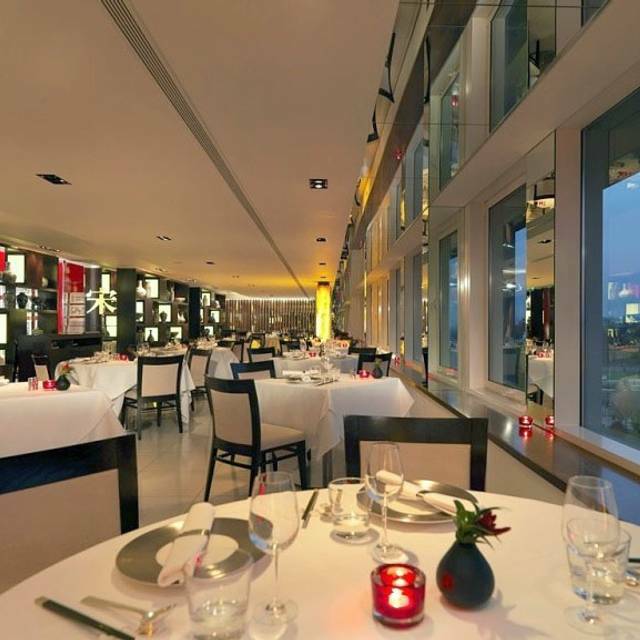 Very beautiful restaurant at the top floor of the hotel, decor was modern, we got a nice table with a beautiful night view of London. Lots of choices and its quite a big menu suitable for normal and vegetarian dietary requirements. Service was efficient. A little pricey but its ok for special occasion. Amazing experience! This is the second time my wife and I have been here, the last time was almost 6 years ago, but it was so worth the wait as we'd forgotten just how good this place is! Service is second to none and the food is simply exquisite! Will always recommend it! My client loved the lunch experience at Min Jiang. I will definitely come back. 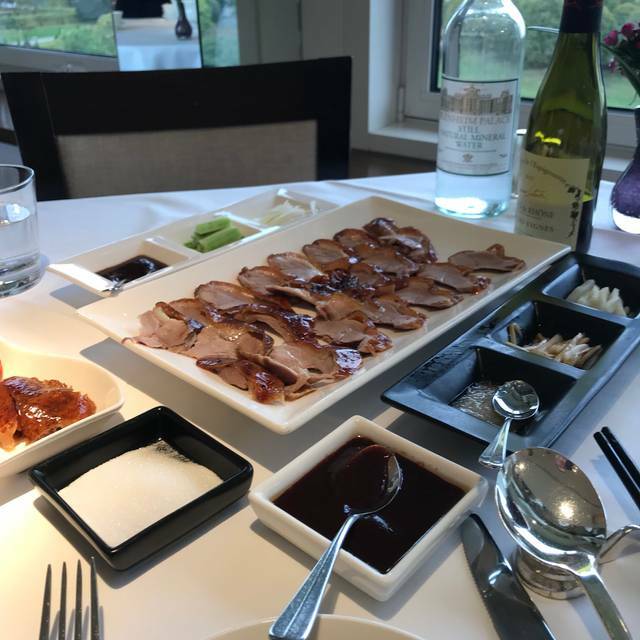 Pity it is not possible to find authentic Peking style Peking duck in London. What we have here is basically Cantonese roast duck carved and served Peking duck style. The difference? Authentic Peking duck, the skin is crispy because it is separated from the meat by blowing air into the duck before roasting. Cantonese roast duck is air dried for a few hours before being roasted. The skin is not crispy as it is still attached to the meat. Not quite the same, not quite as good. Wonderful experience at Min Jiang restaurant! The Peking duck was delicious and authentic. Would definitely recommend this to everyone! With the views and the best Beijing Duck and siew Long bao this side of the world why would you go anywhere else. The staff are professional but human with a lovely sense of humour. Another wonderful dining experience at the best Chinese restaurant in London. Fabulous food special service from a superb restaurant team. Thank you for making our Chinese New Year meal very special. Another outstanding Lunar New Year family lunch at Min Jiang in London. The beautiful open view east over the parks and the London skyline from the 10th floor is magnificent, and never fails to please. 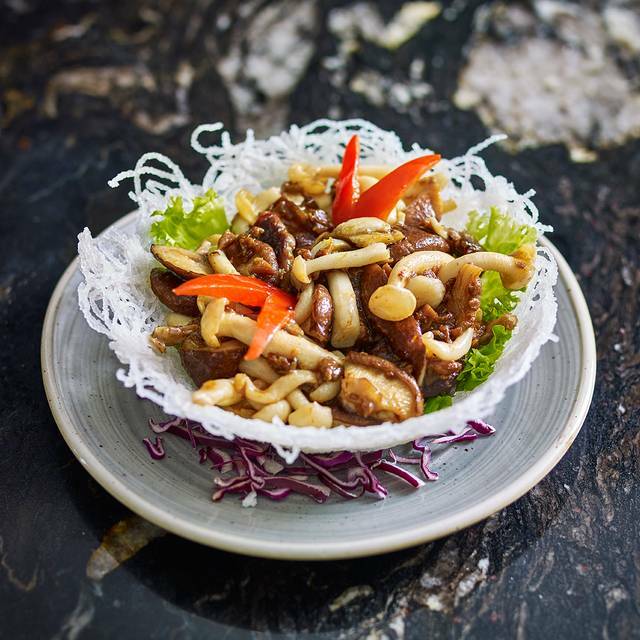 The attentive service, relaxed luxury and delicious food are a great start to the new year. Thank you again to my favourite London restaurant! I’m a regular. Always nice to return to familiar service staff. I have a dinner with my friends on Lunar New Year, and it cost us over £400, but the food is very disappointing and it is even worse than food in China town, though the service is good. Food was very tasty although we found the menu slightly limited. Service was quick and professional although not very friendly. The view was good but we felt the restaurant tables were a little too close together and the noise was a bit too much for me. Overall we felt the meal was slightly overpriced. The atmosphere, service, and food were all superb. The Peking Duck is the best I have ever had. Great place and exceeded my expectations (which were high). Would love to come back again and tell others how great it was.